Can Watches be Engraved? The Answer Might Surprise You! Can I Get My Precious Watches Engraved? Even on their own, watches can look beautiful and turn heads, but that doesn’t mean that the beauty has to end there. You can personalize your watch even more if you have it engraved. There are numerous places you can have your watch engraved, from local jewelry stores to watchmakers, and some websites give you the option to engrave before sending the watch to you. But if you do want to have your watch engraved there are still going to be some things to consider. Can My Watch Be Engraved? Not all watch backs are suitable for an engraving. 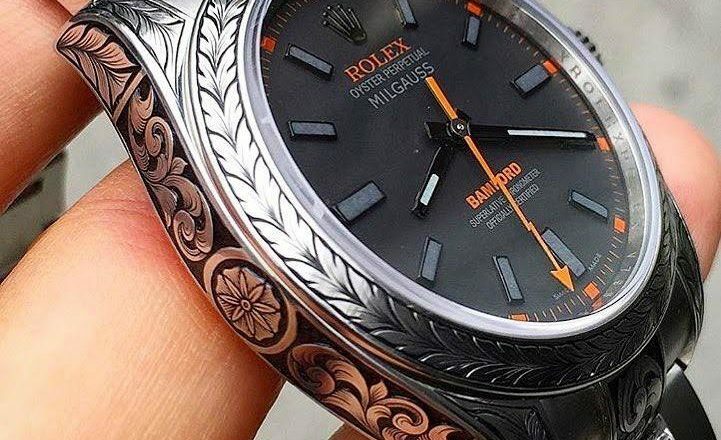 While it is possible to engrave almost any watch case back, there are certain types of cases that shouldn’t be engraved. For example, some watch case backs that have serial numbers or branding at the back that may become illegible after an engraving. Or watches with clear case backs are meant to display the mechanical parts inside the watch and putting an engraving on that could totally ruin the aesthetic of the watch. So if you’re thinking of getting your watch engraved, check your watch’s case back first. How Will I Get The Watch Engraved? There are basically two methods of engraving: hand engraving and machine engraving. Hand engraving ensures a certain uniqueness in the engraving since every engraving will be different, even if it says the same thing, however, hand engravings cannot be undone, which can be a good or bad thing. Machine engraving, on the other hand, is a very precise method that involves lasers or diamond tips, giving off a perfect engraving, however, some people prefer the rustic feeling of hand engravings. What Do I Get Engraved? This is a very personal question because you can literally get whatever you want to be engraved on your watch, and the only important thing to remember is that the engraving should be meaningful to you. The engraving on your watch will most likely be permanent, and whenever you look at it you will be reminded of why you had that engraved, so make sure to give it a lot of thought. Whatever you choose to get engraved, and whatever method of engraving you choose, remember that engravings are a personal choice, so there is no wrong thing to have engraved or no wrong method of engraving. The only thing important in engravings is that you like it and it makes you feel good because that’s what an engraving is for: YOU! Is It Possible For A Quartz Watch To Sweep?